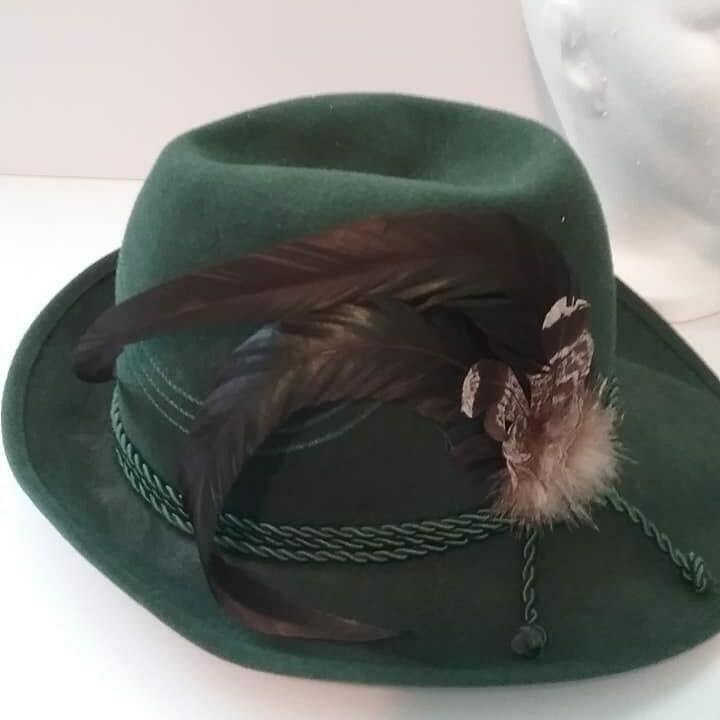 Vintage Men's German Fedora, with Feathers. 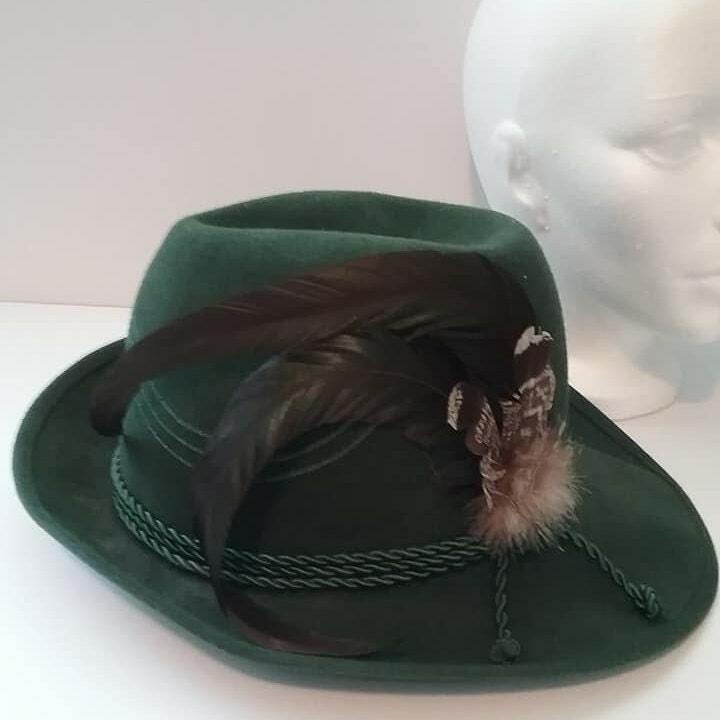 Vintage men's, (Ein Mayser Milz) green, fur blend felt, fedora hat with feathers and triple cord. 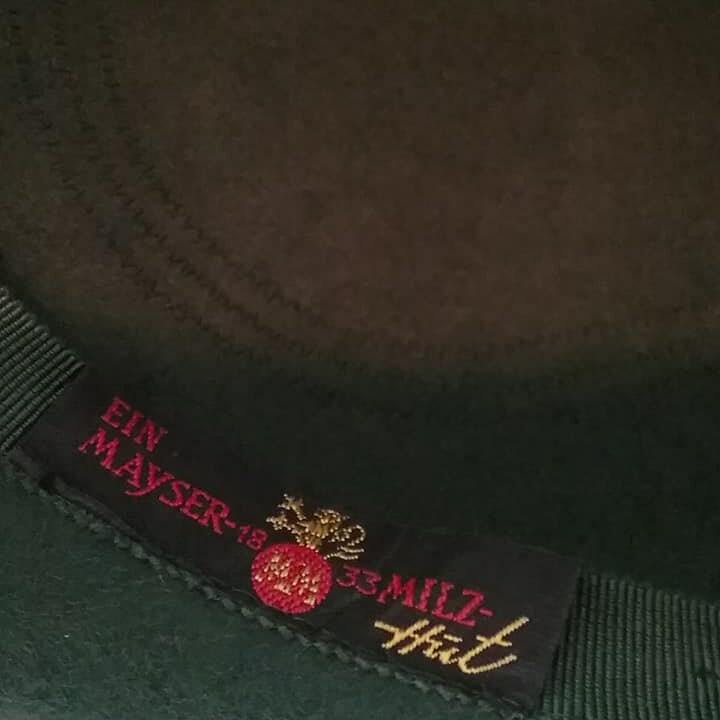 Mayser is an old hat manufacturer est 1800 in Nuremberg, Germany. 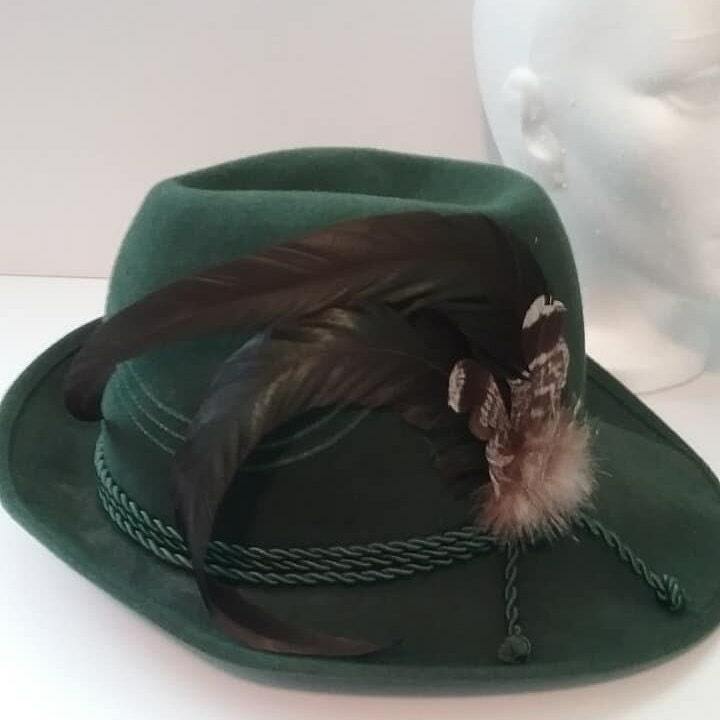 This hat has tag with maker's stamp, Mayser & Milz. Size 7...men's medium. 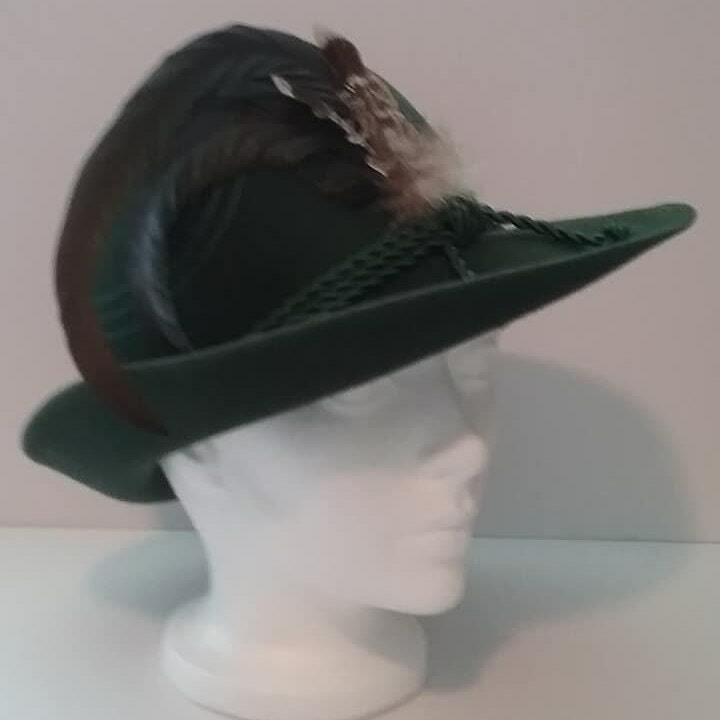 Could also be worn by a woman, and would possibly be a size large for her. 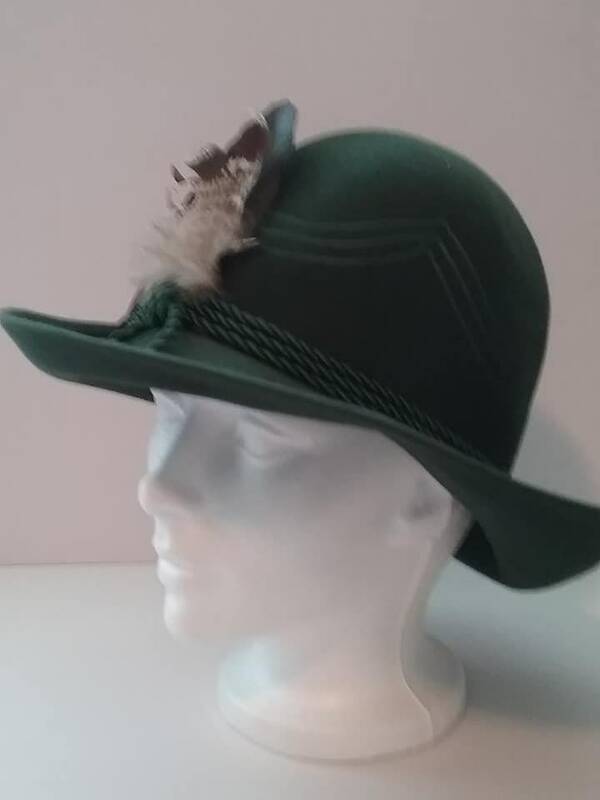 In very good vintage condition. 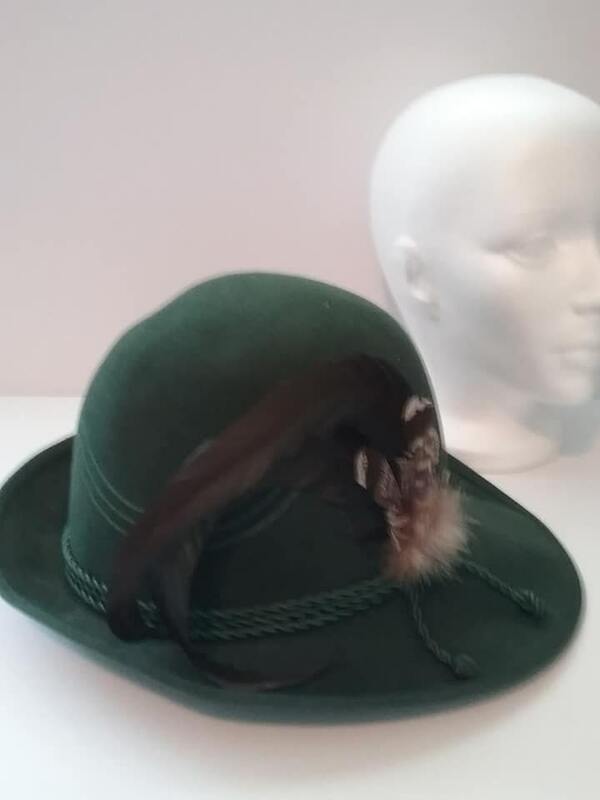 This beautiful hunter green fedora is a timeless classic.